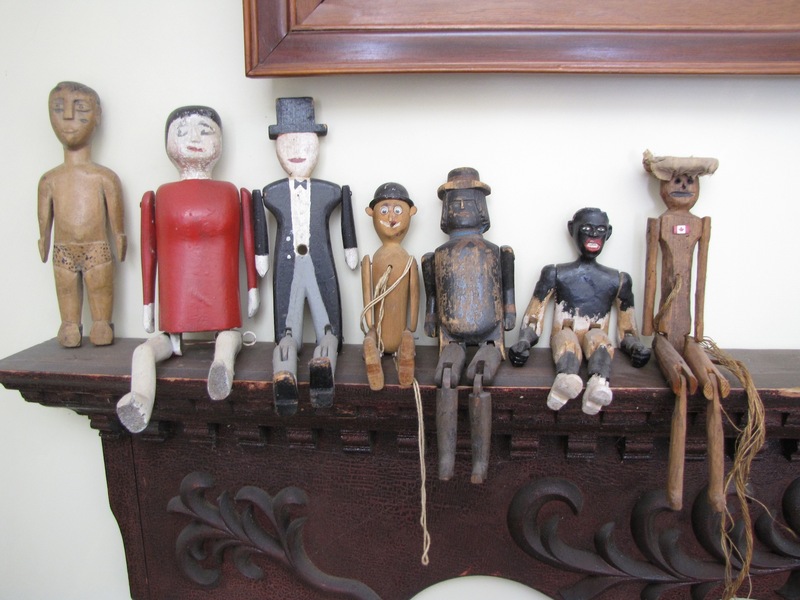 A group of articulated and carved figures that I have collected over the years. The figure on the left is African and from the look on his face he wonders why he isn't articulated. All the others are from the New York State, Ontario or Quebec. To be sold individually or as a group to a good home.